You can use a recycled plastic bottle to de-clog your drain. 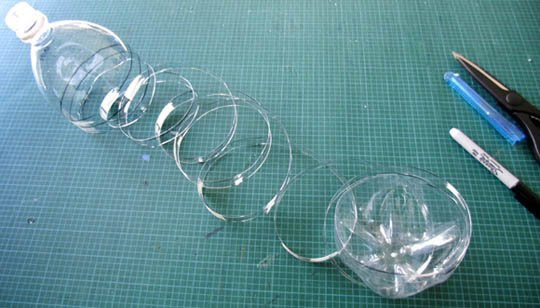 It is a simple idea where you can take an old plastic bottle and with a knife and marker, you can create your own spiral drain cleaner. Basically you take a 2-liter plastic bottle and cut the plastic into a long spiral that you can drop down into your drain to clean out hair and other debris. By creating a little hook on the end of the plastic spiral, you can pull out the gunk blocking your drain. This idea is not only a useful repurpose of an old plastic bottle, it also saves you money from buying drain cleaners. For full directions on how to make your own recycled plastic drain cleaner and de-clog your drain, just visit Dollar Store Crafts.